We've provided an mpeg version and DV version of each background for more flexibility when using the software of your choice. We've also included a preview interface so you can browse through all the choices before you transfer the background you want from the DVD. 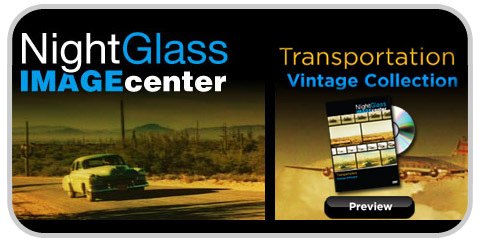 Come take a trip in the time machine with NightGlass Image Center and the Transportation Vintage Collection.